The legalization of cannabis became a cultural talking point in North America – as well as around the globe – long before Canada decided to allow it for lawful, recreational use nationwide in June 2018, with laws going into effect Oct. 17. Such conversations have included economic factors, such as the money that could be made by investing in the legal production, distribution and sale of the substance. Multiple U.S. states have legalized cannabis for medical use, recreation or both, though it's still a prohibited item under Schedule I of American federal drug laws. "Many businesses might soon be investing in cannabis products, expecting future legalization." Data from the Pew Research Center found 61 percent of people in the U.S. support marijuana being made legal nationwide, a number that has steadily increased – almost nonstop – as the percentage of those opposed to legalization has concurrently dropped. Even political conservatives throughout North America, long opposed across the board to any drug legalization, have softened on cannabis, in such cases usually saying – as President Donald Trump has – that states and provinces should decide individually whether to legalize, leaving the federal government out of the equation. 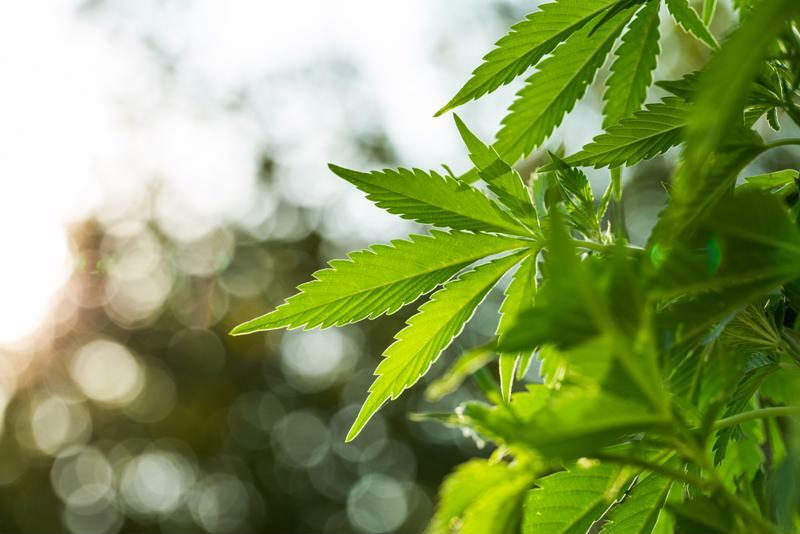 In such a context, the recently announced strategy of liquor import business Constellation Brands Inc. to invest billions in a Canadian marijuana growth businesses isn't that much of a surprise. Many other companies might soon be similarly funneling investment capital into cannabis operations with the expectation that the U.S. and other countries around the world could go the route of full legalization in the near future. Taking Canada's own proposed labeling rules for the drug into account, brands planning to make money off of the substance's newly opened market will need label printers and related hardware capable of meeting all current and future compliance requirements. Many distribution brands may see cannabis as their next lucrative frontier, though it's still illegal in the U.S. The National Post reported that Constellation plans to spend $3.8 billion in U.S. dollars (C$5 billion) to buy a large stake in Canopy Growth Corp., a marijuana grower based in Smith Falls, Ontario. Prior to this transaction, the company was best known for its beer, wine and whiskey importing, varying its brand profile between big sellers like Corona and Robert Mondavi and craft specialists such as Ballast Point Brewing. The intention of Constellation appears to be adding a certain edge to its overall brand, and on Canopy's end of the deal, there now exists an opportunity for greater distribution to new markets, as Canopy CEO Bruce Linton made clear in an Aug. 15 earnings call to media and shareholders. "This is rocket fuel," Linton said, according to the news provider. "We're going to be way more global." "Constellation spent almost $4 billion to enter the cannabis market." Interestingly, announcement of the deal caused Constellation's stock to fall 9.2 percent on the day, while Canopy's stock rose 52 percent – astronomical by the company's trading standards as established thus far. Though these numbers regressed somewhat to their respective means for both firms, the results are reflective of hesitation on the part of those who are more skeptical about the likelihood of broader marijuana legalization. Constellation's gambit in this instance falls squarely in the high-risk, high-reward category: Both Canopy Growth and Constellation said that they would not sell or market cannabis products in any market where the substance and its derivatives were not entirely legal – a caveat which, as of now, applies to the U.S. Traders who reacted as they did regarding either company Aug. 15 were, albeit understandably, hedging their bets in one direction or the other. On the side of those who chose to sell on Constellation, one can use the federal government's stance as an argument. Despite the more ambivalent beliefs of the president who appointed him, U.S. Attorney General Jefferson Sessions remains firmly opposed to any notion of marijuana legality. Still, economists like Ken Shea at Bloomberg Intelligence find validity in the companies' strategies. "[Constellation] want[s] to be the first mover on a disruptive product," Shea told the National Post. As noted of the aforementioned Canadian cannabis labeling regulations, the packaging requirements that retailers, distributors and suppliers will face are all but guaranteed to be strict and precise if marijuana becomes legal in other major countries. These firms, as a result, will need label software and a digital label printer that is up to the task of complex designs. The Epson ColorWorks C7500G inkjet gloss color label printer is more than capable of handling such a job, and will be worth investigating as a possible equipment investment for companies seeking to get in on the ground floor of cannabis legalization. DuraFast Label offers this model in both our U.S. and Canadian stores.